The Federal Constitution and the Consolidation of Labour Laws are the main statutes and regulations regarding labour and employment in Brazil. In addition, other mandatory labour and employment rules may be also established by collective bargaining conventions (between employees’ unions and employers’ unions) and collective bargaining agreements (between an employer and the employees’ unions). Moreover, Laws 8,212/1991 and 8,213/1991 and Federal Decree 3,048/1999 cover the main regulations regarding social security obligations relating to employment. Visas and work permits are governed by normative resolutions issued by the Ministry of Labour. The Federal Constitution ensures human dignity and welfare for every citizen, regardless of nationality, race, gender, colour or age and prohibits any other kind of discrimination, establishing that federal laws shall regulate the enforcement of such constitutional guarantees and the relevant penalties in cases of violation. treating an employee differently in the workplace and in terms of the salary amount. taking ownership of or diverting assets, earnings, pension or any other income of the elderly. disclosing the condition of the patient carrying HIV to offend his or her dignity. Laws 7,853/1989 and 13,146/2015 guarantee to persons with disabilities the right to the work of their own free choice, and acceptance, in an accessible and inclusive environment, in equal opportunities with other persons, including equal remuneration for the same type of work. Further, they are guaranteed the participation and access to courses, training, continuing education, career plans, promotions, bonuses and professional incentives offered by the employer. Any restriction or discrimination on grounds of disability, including during recruitment, selection, admission, periodic medical examinations, permanence on the job, professional growth and rehabilitation, as well as requirement of full capacity is forbidden. These laws also define as crimes the practice, inducement or incitement of discrimination of persons because of their disability; and taking ownership of or diverting assets, earnings, pension or any other income of the persons with disability. The use of advertisement or any other means to recruit employees requiring specific race, ethnic appearance profiles, or any kind of discrimination not related to professional experience is also forbidden. The Criminal Code states that sexual harassment is a crime, characterised when someone holding a hierarchically superior status harasses another person to gain advantage or sexual favours because of their work, position or role. The Ministry of Labour is the primary government agency responsible for the enforcement of labour and employment statutes and regulations. The Labour Prosecution Office, in turn, is an independent entity responsible for supervising compliance with labour laws and respect for social and collective or homogeneous individual rights. This entity has jurisdiction to start and develop investigations into the breach of labour rights and, where violation is verified, it notifies the offender to execute an out-of-court settlement by means of which the offender undertakes to cease the practice of labour and employment irregularity. If the offender fails to comply, settlement can be executed before the labour courts. If the offender refuses to execute the out-of-court settlement, the Labour Prosecution Office may file a civil class action requesting the labour courts to ensure the enforcement of employment statutes and regulations. Further, the Federal Revenue Service is the primary government agency responsible for the enforcement of social security statutes and regulations regarding taxes on compensation for work, while the National Institute of Social Security oversees social security benefits. The Federal Constitution states that the election of an employee representative council or committee is allowed in companies with more than 200 employees. The House of Representatives ratified the Workers’ Representatives Convention 135, of the International Labour Organization, which also grants protection to employee representatives elected or appointed by employees’ unions or elected by workers in a company, who are commonly called plant committees. The Consolidation of Labour Laws obliges employers to set up internal committees for accident prevention, formed by representatives of both employees and employer, aimed at the prevention of work-related accidents and sickness. Employees elected as union officers can also be considered as employees’ representatives in the workplace. Further, Law 13,467/2017, in force as of 11 November 2017, provides that companies with more than 200 employees must keep an employee committee formed by three to seven members (depending on the company’s workforce) to represent all employees before the company’s governance. Employees appointed to the committee will enjoy a one-year term and will be entitled to a job guarantee as of the application up to one year after the end of the term. The establishment of workers’ committees stimulates permanent negotiation between employees and employers in the workplace, but it does not exclude negotiations between the relevant unions representing the employees. Regarding unions in Brazil, in each territorial base, which corresponds to at least one city, there may be a single union representing the employees in each specific work category, which comprises employees under the same work conditions while developing their tasks in the same or similar economic activities and a single employers’ union, which represents companies with economic interests in common that result from the development of identical or similar activities. The state is prevented from intervening in the unions’ organisation. The negotiation between employees’ unions and employers’ unions generally results in conventions that establish specific labour rights pertaining to the relevant category. Employees’ unions and companies may also directly negotiate specific rules and work conditions by executing a collective bargaining agreement. Employees appointed to councils or committees and those employees elected as union officers are entitled to freely conduct their mandates and meetings. They may also inform employees about the agendas, programs, list of claims, and all related labour subjects; additionally, employers can neither prevent them from convening meetings during working hours nor from distributing union advertisements in the workplace. There are no specific restrictions on background checking of applicants, provided that the privacy, private life, honour and image of people are respected. Inspections by authorities or labour claims may be filed by applicants for indemnification due to alleged moral or material damages, regardless of whether the background check is conducted by the future employer or by a third party, mainly when such background check leads to dismissal or to prevention of the hiring of an applicant. Law 9,029/95 prohibits the requirement of certificates or medical examinations to prove infertility or pregnancy as a condition for hiring an applicant. Nonetheless, it is mandatory that all employees submit to a medical examination prior to their admission to confirm that the professional is sufficiently healthy to perform the required job duties. The applicant cannot refuse to submit to such prior examination. Regular examinations and examinations upon termination to ensure the employee is sufficiently healthy to work are also mandatory. There is no specific legislation restricting or prohibiting the submission of applicants to drug and alcohol tests. However, case law interprets such practice as illegal because it interferes with the applicant’s intimate and private life. Thus, the understanding is that employers are not allowed to refuse to hire an applicant who does not submit to such test. Different treatment also applies to the hiring of apprentices. The apprenticeship is a hiring regime that, in addition to the theory taught in courses, grants professional and technical training to people between 14 and 24 years old. Companies are also obliged to hire a certain number of apprentices, the quota varying from 5 to 15 per cent of the number of workers who perform roles that demand professional training. The employment relationship must be recorded in the relevant employee’s record book, including information on the hiring date, compensation and special conditions to which the employment contract is subject. Written employment contracts are mandatory for temporary, fixed-term, part-time and zero-hour employments only, but are highly advisable in case of managerial positions and employees that handle confidential information or develop products or inventions. Nonetheless, the parties usually execute an additional written employment contract detailing other work terms and conditions not established by law or by collective bargaining conventions and collective bargaining agreements. The maximum period of duration for fixed-term employment contracts is two years. If the employment contract is fixed for a period of less than two years it can be renewed only once (except those executed for two years with foreign employees, which are non-renewable - see question 15), provided that both periods together do not exceed two years, otherwise the employment contract is converted into an indefinite-term one. Fixed-term employment contracts are allowed in the case of essential services owing to a temporary demand for activities in the company or in the case of temporary services or if their nature justifies the fixed term. The maximum length of a probationary period is 90 days according to the law. Should this period be shorter than 90 days, the employer may extend it once if both periods together do not exceed 90 days. If the employment contract continues after the probationary period, including due to job tenure, it is automatically converted into an indefinite-term contract. According to the Consolidation of Labour Laws, the employee is a specific individual who is paid for the habitual rendering of services developed under subordination to the employer; for example, the employer has the power to direct the business and the employment relationship, and thus control, inspect and penalise the employee. Independent contractors, in turn, are solely responsible for their business and do not render services under such subordination to the engaging party, as the latter just aims at the result of the contract. Independent contractors may also allocate other professionals, including their own employees and other independent contractors, to comply with their contract, which does not apply to employees. Law 13,467/2017 and Provisional Measure 808/2017 as of November 2017 introduced changes to distinguish independent contractors from employees. In this sense, exclusivity clauses in contracts with independent contractors are expressly prohibited but they are authorised to provide services to other clients engaged in the same economic activity as the hiring party. Furthermore, an independent contractor’s provision of services to a sole client and exercise of activity related to the client’s business does not typify, per se, the employment relationship between the parties. Law 6,019/1974, recently amended by Law 13,429/2017, governs the temporary work performed by individuals to urban companies (hiring parties), and is allowed in two situations: to meet the temporary need to replace regular and permanent employees in the company (for example, in the case of vacation and sick leave) or to deal with extraordinary increase of activities (for example, at certain times of the year, such as during the holiday season). The temporary employment contract is necessarily written and can be executed for 108 days, consecutive or not, extendable for a further 90 days if the preliminary conditions that led to the temporary staffing hiring are still in force. Although temporary employment agencies are responsible for paying and assisting the temporary workers hired by them with respect to their rights and obligations, hiring parties must provide temporary workers with the same health and safety work conditions already granted to regular employees, as well as the same medical and meal assistance, provided that the temporary work is performed within the hiring party’s offices or plant. For each foreign employee the employer must hire two Brazilian employees. This is the ‘two-thirds rule’ established by the Consolidation of Labour Laws, which is also required in relation to the proportionality of compensation to be paid to foreign and Brazilian employees. Law 13,445/2017 (in force as of 22 November 2017), known as the Migration Law, revoked Law 6,815/1980 (Statute of the Foreigner), as well as Law 818/1949 (which governs nationality and political rights), and established new rules on migratory policy in Brazil, including the rights and duties of migrants and visitors to Brazil, the entry and stay of foreigners, and the rules for the protection of Brazilians abroad. Decree 9,199/2017 was edited to regulate and detail the provisions set out by the Migration Law. foreigners who wish to hold office as officers of Brazilian companies. The Brazilian National Immigration Council released 23 ordinances after the Migration Law came into force to standardise the administrative proceedings regarding the granting of visas and permits for the purposes of residence, work (considering employees, investors, managers, etc), technical assistance and technical support, among others. auditing or advising services for more than 90 days. In such cases, the length of the visa is up to one year and its extension will be conditioned upon specific ordinances to be released by the Ministry of Labour. In cases where foreign professionals are sponsored by a Brazilian company by means of a job offer or an employment contract, the length of the visa is up to two years, extendable for the same period upon the employer’s justification. This visa is available for employees that are transferred from one corporate entity in another jurisdiction to a related entity in Brazil. The Migration Law introduced the possibility of a visa for summer work, which can be granted to foreign professionals and provided that he or she is native to a country that grants the same benefit to Brazilian professionals. Officers and administrators that do not qualify as employees may apply for permanent visas, which are approved when the company evidences an investment, duly registered with the Central Bank of Brazil, of an amount of at least 600,000 reais for each professional, or an investment of at least 150,000 reais per professional provided that the Brazilian company undertakes to create at least 10 new jobs within two years following its incorporation in Brazil or the concession of the permanent visa to the foreign administrators or officers. Another possibility is the granting of a permanent visa to foreign individuals investing in Brazilian companies. In such cases, each foreign investor must provide evidence that he or she has already made capital contributions, duly registered with the Central Bank of Brazil, to a new or an existing Brazilian company, of an amount not lower than 500,000 reais. Exceptionally, the Immigration Council can authorise, at its sole discretion, the granting of a permanent visa even if the capital contribution is lower than 500,000 reais but higher than 150,000 reais, provided that the investment is in innovation, basic and applied research or for scientific and technological purposes. Finally, visas issued before the Migration Law comes into force will remain in force until their expiration date. Spouses and other family members of foreign employees with temporary visas must apply for their own visas and work permit to be able to legally work in Brazil. Foreign family members of foreign workers with permanent visas are entitled to work in Brazil. To employ foreign workers, the employer must obtain a visa and work permit and not exceed the limit of foreign workers in the company (see question 15). The visa and work permit application is analysed by the National Immigration Council, which is formed by personnel from the Ministry of Labour and the Ministry of Justice and verifies the compliance with the legal requirements for each kind of visa and work permit. The admission of foreign workers that does not fulfil the legal requirements subjects the company to fines imposed by the Brazilian immigration authorities, and the illegal foreign worker may be deported by the federal police. There is no labour market test required for employers to demonstrate that local workers are not willing to take on, or not qualified for, the job position offered to the foreign worker. However, if the company applies for a visa to hire a foreign worker based on an employment contract, it shall demonstrate that this professional has special qualifications and work experience to develop his or her activities in Brazil by presenting degrees, certificates and declarations, as required by the National Immigration Council. The working hour limits defined by law are mandatory. The maximum working hours are 44 hours per week and eight hours per day. Some worker categories have a lower limit of working hours per day (eg, bank workers, workers in hazardous activities). Breaks for rest during the working hours should be according to the following parameters: a 15-minute break if the working hours exceed four hours, but do not exceed six hours; and a break of at least one hour if the working hours exceed six hours. Employees are also entitled to a rest of at least 11 hours between two work shifts. Specific rules regarding working hours may be also established by collective bargaining conventions or collective bargaining agreements. All categories of employees are entitled to overtime pay, except for employees who perform external activities that are incompatible with the employer’s control of working hours, employees who work from home and holders of trust positions, because they are not subject to the control of their working hours by their employers. The minimum overtime pay is an additional allowance of 50 per cent over the normal compensation, but this percentage may be higher because of rules established by collective bargaining conventions and collective bargaining agreements, mainly in the case of work on Sundays and holidays. Employees cannot waive the right to overtime pay, and waivers regarding any type of payment, including overtime, may be interpreted as invalid by courts in the case of a lawsuit filed by the employees or by the union representing them. Employers, however, may negotiate with the union representing the employees, or individually with employees who hold a college degree and receive a monthly salary higher than twice the highest social benefit provided by the Social Security (currently around 11,200 reais) for the establishment of time banks to credit the employees’ overtime hours for days off instead of paying them. Employees are entitled to a 30-day vacation, which must be compensated with the payment of the normal monthly salary (including the average of variable salaries, such as commission), plus a bonus corresponding to one-third of such payment. The vacation payment must be made up to the second day preceding the beginning of the vacation period. A vacation must be granted by the employer within a year after 12 months of work; otherwise, besides the vacation, the relevant compensation shall be doubled as a penalty for the employer. Employees are entitled to split the 30-day period into three blocks, provided that one of them is of at least 14 days and the other two are of at least five days each. Employees are also entitled to convert 10 days of their vacation into working days, and for such period, the employee is entitled to receive the compensation related to the working days plus the vacation payment (including the one-third bonus). Regarding holidays, the law establishes the national holidays on which employees shall not work. State and municipal laws may also establish other holidays. The legislation ensures the right to sick leave to the employee under medical recommendation, in which case the employment contract is suspended and cannot be terminated. The employer pays the first 15 days of sick leave and the National Institute of Social Security pays the remaining days as a social security benefit. There is no limit for sick leave. union officers: whenever it is necessary to meet the duties related to their mandate. Collective bargaining conventions or collective bargaining agreements may also provide for other paid leave. public transportation vouchers for the employee’s journey to and from work paid by the employer, who has the right to discount up to 6 per cent of the relevant cost from the employee’s monthly salary. Other benefits may be mandatory by the application of collective bargaining conventions or collective bargaining agreements. The work shift of part-time jobs is limited to 30 hours per week, in which no overtime is allowed, or 26 hours per week plus six hours of overtime (totalling 32 hours), and the relevant salary must be proportional to the full-time job salary. Part-time employees’ vacation has the same length and conditions of indefinite-term employees. Fixed-term contracts are only allowed in a few cases (see question 11) and the maximum length for them is two years. They may be renewed only once if the maximum period of two years is respected, otherwise, they are converted into indefinite-term contracts. The main specific rule relating to fixed-term contracts is that in the case of earlier termination by the employer, the employee is entitled to receive an indemnification corresponding to 50 per cent of the compensation that would be due up to the end of the term, and no prior notice period is applicable. If the earlier termination is caused by the employee, the employer is entitled to be indemnified for the relevant losses, but the amount is limited to that which would be due to the employee if applicable. Employers must only inform the authorities about monthly payments, hiring, termination, working tools, work leave, etc, in specific and official electronic systems for tax purposes. There is no specific legislation regulating these covenants. Case law interprets that non-compete clauses are considered valid and enforceable when employees are reasonably indemnified for the non-compete period, which is usually up to 24 months and may only refer to the roles and territory established in the employment contract that was terminated. Post-termination non-solicitation and non-dealing covenants are in general terms accepted as valid and enforceable if they are reasonable. Yes, employers must indemnify former employees in cases of post-termination covenants not to compete. At least 50 per cent of the employee’s last monthly salary per month of non-competition has been accepted in case law as reasonable consideration for such restrictions. The Civil Code states that the employer is liable for all acts of its employees during work, regardless of their guilt. Nonetheless, the employer is allowed to sue the employee for an indemnification corresponding to the damages. The Consolidation of Labour Laws also allows the employer to discount from the employee’s salary the amounts corresponding to damages caused by the employee due to malice or if this condition is established by the employment contract. unemployment severance fund at the rate of 8 per cent over the monthly salary. Employee inventions are the employer’s property if they are developed due to an employment contract related to research or invention activities, or if these activities result from the nature of the services rendered. The compensation for the invention developed is limited to the employee’s salary, unless other compensation is agreed by the parties. disclosing, exploiting or using, without authorisation, test results or other data not disclosed, the preparation of which involved considerable effort and that have been presented to government entities as a condition for approving the marketing of products. Thus, the legislation guarantees the confidentiality and secrecy of all documents, memoranda, drawings, diagrams, lists, computer programs and other items that may contain business secrets. Although there is no specific law related to the protection of employee privacy and personal data, the Federal Constitution ensures the inviolability of intimacy, private life, honour and image of all citizens. In this sense, employers shall keep employees’ personal data confidential, and they may be disclosed only upon a judicial decision. With regard to employees under 18 (minors), the collection and treatment of their personnel data shall be made upon the provision of a notice (if collected offline) or upon express consent (if collected online). In any case, the minor shall be duly represented to validate the notice or consent. The Consolidation of Labour Laws establishes that no modification of the company’s structure shall affect the employee’s rights. Therefore, employment contracts remain effective in the case of sale or acquisition of shares or quotas. The same principle is extended where the sale of assets represents a business transfer. As per Law 13,467/2017, outsourcing is considered licit and can be agreed upon activities related, or not, to the core business of the company provided that some conditions and requirements are met. customary gambling in the workplace. Yes, if the termination is without cause. The notice period must be proportional to the length of the employment contract, provided that the minimum period for the notice to be given prior to the effective date of termination is 30 days plus three days for each year of service rendered to the same employer, limited to a maximum of 90 days. The employer may provide pay in lieu of notice. Dismissal without notice is acceptable, but the employer shall provide payment in lieu of notice (see questions 25, 26, 36 and 37). Yes, in cases of dismissal without cause for indefinite-term employment contracts, the employee is entitled to receive an indemnification corresponding to 40 per cent of the balance of deposits made by the employer on the employee’s unemployment severance fund account (an additional 10 per cent fine is paid by the employer to the government as tax). This indemnification is not due in the case of dismissal with cause. all other labour charges related to indefinite-term contracts. Upon any kind of termination, the employee is entitled to receive the balance of the monthly salary and accrued vacation. Termination payments must be made within 10 days after the termination in any case, and a medical examination may be required. other cases established by collective bargaining agreements, which usually prevent dismissals in the case of employees that are about to retire or have just returned from vacation. As of the validity of Law 13,467/2017, employers are expressly exempted from negotiating the terms of a mass termination or collective dismissal with the relevant unions. Class or collective actions in defence of workers are allowed by the legislation. Employees are generally represented by labour unions or by the Labour Prosecution Office. No, employees are free to retire whenever they have complied with the requirements established by the social security legislation. The earning of retirement pensions does not prevent the retired from continuing to work as employees. Law 13,183/2015 states that, up to 30 December 2018, male employees are entitled to retire when the total sum of their years of work and age corresponds to 95 (eg, 35 years of work plus 60 years of age). For female employees, the sum required is 85 (eg, 30 years of work plus 55 years of age). As of the validity of Law 13,467/2017, employees who earn a monthly compensation higher than twice the amount of the highest social benefit provided by the Social Security (currently around 11,200 reais) may enter into a covenant or expressly agree upon an arbitration clause to solve any disputes arising from the employment contract. For other cases, private arbitration is not valid to settle individual employment disputes. The Consolidation of Labour Laws, however, provides the possibility of the establishment of conciliation commissions by trade unions and companies to settle private employment disputes. For the resolution of disputes arising from collective bargaining between employees’ and employers’ unions, the Federal Constitution allows them to use arbitration. Owing to the principle that the employee’s rights cannot be waived, waivers may always be challenged before the labour courts. The statute of limitations for labour claims is two years from the termination of the employment relationship, provided that the labour claims comprise rights related to the past five years counted from the filing date. Still aiming at enhancing the country’s economic and social agendas after a recession process triggered from 2012-2013 and which resulted in former President Dilma Rousseff’s impeachment, the current government was able to approve some bills of law in 2017 to reform labour legislation in order to boost the country’s economic activities, despite huge mass protests and legal disputes that have not yet finished. In this sense, Law 13,429/2017, Law 13,467/2017 and Provisional Measure 808/2017 deeply changed the labour system by increasing the power of negotiation between employees and employers, and between employees’ unions and employers for more flexible working conditions, especially related to hiring and termination processes, as well as exempting taxation and labour impacts over some compensation elements and allowing free and full process of outsourcing. Conversely, the federal government failed to approve significant changes in the social security legislation that would be essential to limit public spending on pensions and social benefits, mostly because of massive opposition from public service workers, the unions, media and even political parties, the latter afraid that an unpopular action could jeopardise their candidates’ chances of winning the 2018 executive and legislative elections. The economic scenario is still uncertain and a definite recovery will depend on the political environment after the next president’s election at the end of 2018. 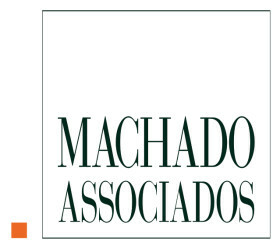 Machado Associados is a leading Brazilian law firm that has been working with the main areas of business law for 26 years. Following a boutique approach, the firm provides advice based on clients’ individual needs and goals.